I review gadgets for a living. Be it smartphones, wearables or TVs, I’m constantly between gadgets. But above everything, I enjoy testing audio gear the most, especially IEMs, since my initial impressions of an earphone could be drastically different from my final verdict. Case in point, the recently announced 1More Dual Drivers. When I first heard the brand’s latest affordable IEM, I couldn’t believe my ears (quite literally) and dismissed the IEMs for being muddy. However, after subjecting them to a burn-in, now I can’t keep myself from listening to the 1More Dual Drivers. Here’s what changed. 1More has left no stone unturned in designing the Dual Driver IEMs. 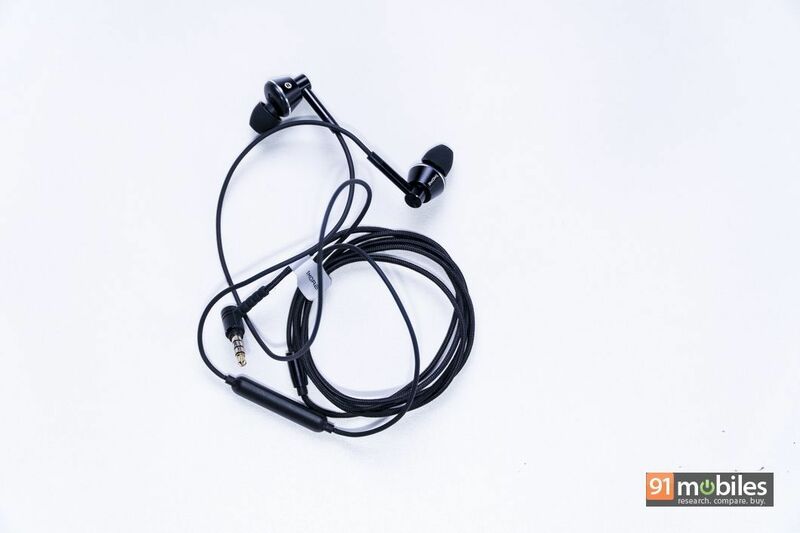 From employing metal to construct the earpiece’s outer casing, to supplying the IEMs with a braided, tangle-free cable, these earphones have all the necessary ingredients which constitute a premium product. 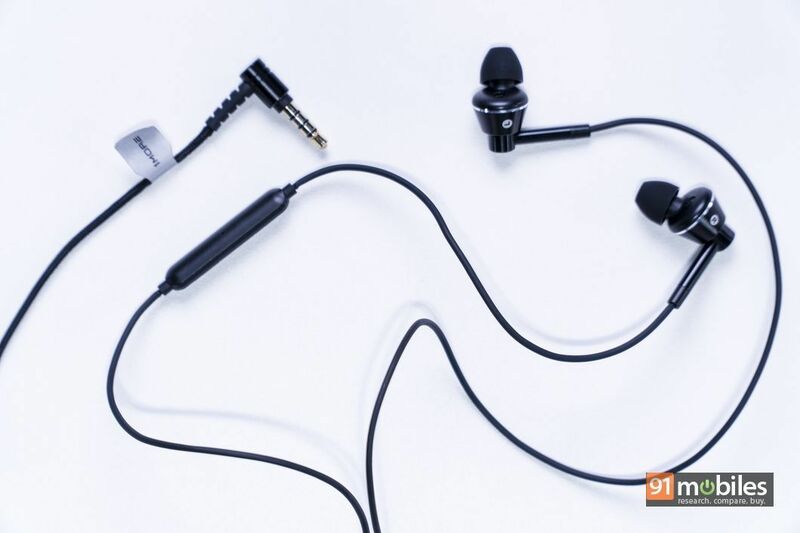 What’s surprising is that the IEMs don’t cost a hefty chunk and can be picked up for just Rs 3,999 from various e-commerce websites. Suffice it to say, you’ll be hard-pressed to find any flaws in the design of the 1More Dual Driver. Adding to the pile of things I love about the Dual Driver’s design, the built-in in-line remote control features a trio of buttons which offer satisfactory tactile feedback. Unfortunately, while you can adjust the volume and skip forward to a new track, you won’t be able to go back to the previous song by triple-tapping the centre button. 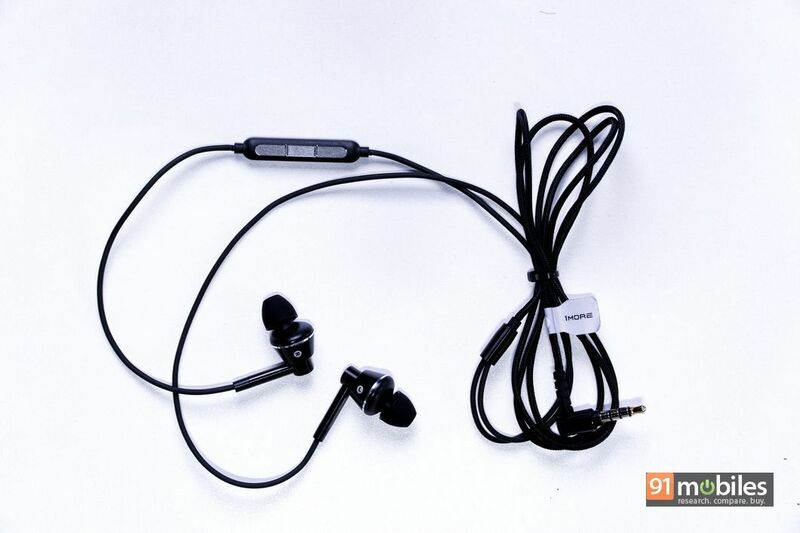 For someone who switches between tracks quite often, I quite missed this feature on the Dual Driver earphones. With that said, the 1More dual-drivers are incredibly comfortable to wear over long listening sessions. 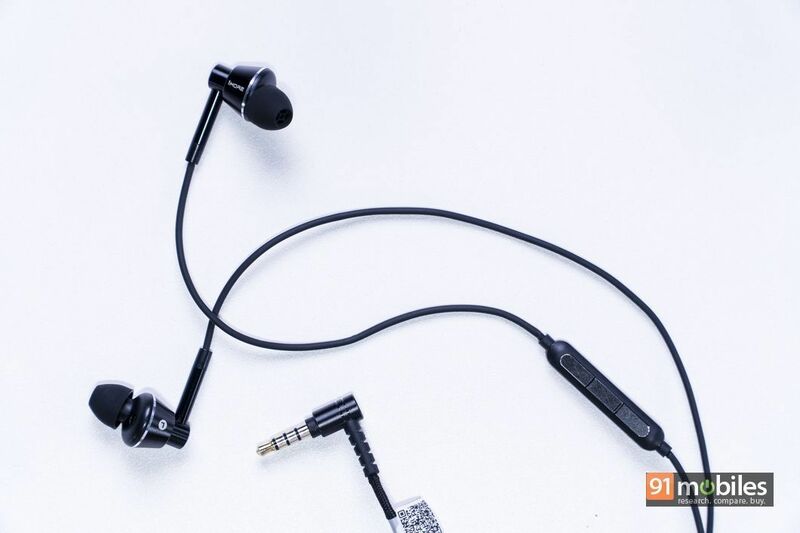 The ear pieces have an angular design which tilts at 45-degrees, ensuring that the IEMs nestle perfectly inside your ear canal and don’t pop out even with the most rigorous headbanging. 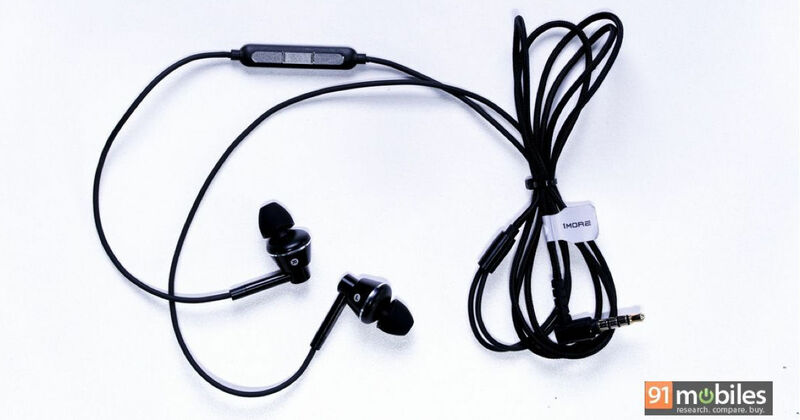 Moving on, while the earpieces protrude outwards when in your ears slightly, you can still comfortably sleep on one side without the eartips biting your ears. As I mentioned at the beginning of my review, the 1More Dual Drivers sounded terrible when I first plugged them in. But, after a burn-in period of almost 18 hours, the IEMs stepped up their audio game significantly. For the uninitiated, burn-in refers to the process of playing tracks or subjecting a pair of earphones or headphones through white/pink noise to break them in. It might not bring about any significant change in the audio quality or it could completely alter the way you perceive that pair of IEMs. I’m sure you can guess which category the Dual Drivers belong to by now. Those interested in buying the product should know that the company’s 1More Assistant app can also be downloaded on their smartphone to burn-in the earphones. The difference in sound quality post burn-in was easily noticeable. It didn’t have much to do with the IEM’s sound signature – that was still the same as before with warm tones and a slight emphasis on the low end. However, the soundstage and the instrumentation of the IEMs drastically improved. Before I’d burned them in, the Dual Drivers sounded boxy and one-directional. However, after listening to them for over 18 hours, I noticed that the sound output was no longer pigeonholed inside my ears and instead, surrounded me in a wide, open space. Bjork’s Hunter exemplifies the Dual Driver’s enhanced soundstage and instrument separation as the drum beats first take turns to rattle each ear piece, thereby creating a stereo effect. Then, you’ll notice that despite the emphasis being laid on vocals in the song, the background instruments aren’t drained of their energy and are clearly audible. As I mentioned previously, the 1More Dual Drivers have a coloured sound signature which favours the low end. You can easily make that out since the vocals and the instruments sound a tad bit deeper than they normally would. That said, I do feel that the IEMs’ bass output will leave you wanting for more, especially if you listen to a lot of EDM tracks. The bass extension is a bit flaky and it’s not as thunderous as say, the boAt Nirvanaa Tres I reviewed recently. On the flip side, the vocals sound beautiful and lush on the Dual Drivers and even though the IEMs aren’t as analytical as the KZ ZS6 (review) when it comes to reciprocating highs, they still sound pretty darn good. There’s no sibilance so to speak of and the IEMs don’t sound harsh even if you crank up the volume to really high levels. 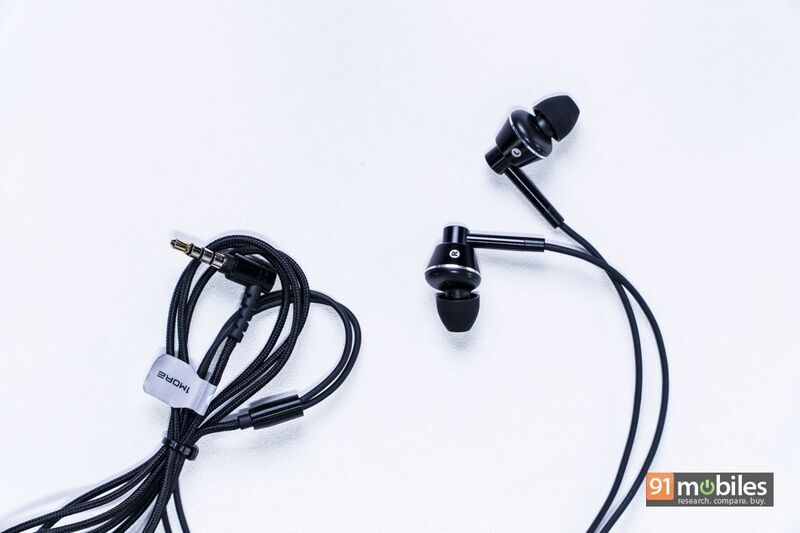 The 1More Dual Drivers retail for Rs 3,999 and for the price, you get a pair of well-constructed IEMs which sound really good after you’ve burned them in. However, there’s no shortage of good-sounding IEMs at this price point. A few that come to mind are the boAt Nirvanaa Tres which offer a better bass output, the KZ ZS6 which offer audiophile-grade performance and ship with a neutral sound signature, and the FiiO F5 (review), which boast detachable cables and Hi-res audio certification. Everything considered, the 1More Dual Driver are solid IEMs which come at a wallet-friendly price point. Therefore, if you are in the market for IEMs priced under Rs 5K, you should definitely consider picking up the Dual Drivers. Next articleOPPO F7 vs Samsung Galaxy C7 Pro: which one should you buy? The youngest of the lot, Prateek has recently joined the editorial team and has picked up quite a few things in the short time he has been here. Being an avid gamer, he has a heap of consoles, both old and new and is constantly juggling between which games to play. When he is not writing articles or shooting videos, he likes to hit the gym to stay on top of his fitness game.